Learning to ski is not your everyday thing to do. Stick your feet into clunky boots, click them onto two long slippy planks, and then set off down a hill with no brakes! It might sound like a nightmare to a first timer. However, all of these obstacles have been thought out over the years by ski resorts, ski schools, and ski manufacturers. A number of improvements have been made to the slopes, equipment, and tuition to improve the beginner experience. And there has truly never a better time to learn to ski, whatever your age. On the fence about wondering if you should learn how to ski? Here’s why you should. In many resorts, beginner areas are a long way from what they once were. Comical pictures of people being dragged up drag lifts on their side are becoming a thing of the past. Many resorts have invested in magic carpet-like escalators where you stand on a moving rubber mat like the ones at the airport. It used to be a choice between a physical clamber back up or doing battle with a mechanical monster of a drag lift with a nasty jolt at the start. With the moving carpets, as long as you can stand up, you will get back to the top of where you want to go. This is a markedly more tranquil way to start your skiing campaign. Ski slope grooming has also come on leaps and bounds. The almost universal end to the day a few decades ago where every slope became a mogul run after 3pm is no longer the case much to the dismay of a few die-hards and old schoolers. New grooming techniques and improvements to the snow grooming machines as well as snow cannons have made reliable surfaces that often are in great condition from the start of the day until the end. The idea of you standing in a long line of 15-20 folk waiting your turn to wobble out your initial manoeuvres in front of an instructor isn’t often the case. Ski schools have realised that the massive groups of varying ages and capabilities aren’t always what people want. Now, there are various tailored products in most resorts whether it be small group sizes, guaranteed language skills, or short, intensive packages to help you have an effective and enjoyable experience. Learning to ski at your own pace is an important factor in learning to love the sensations of skiing. So the big lines of learners following a few barked instructions isn’t often the norm in 2018. 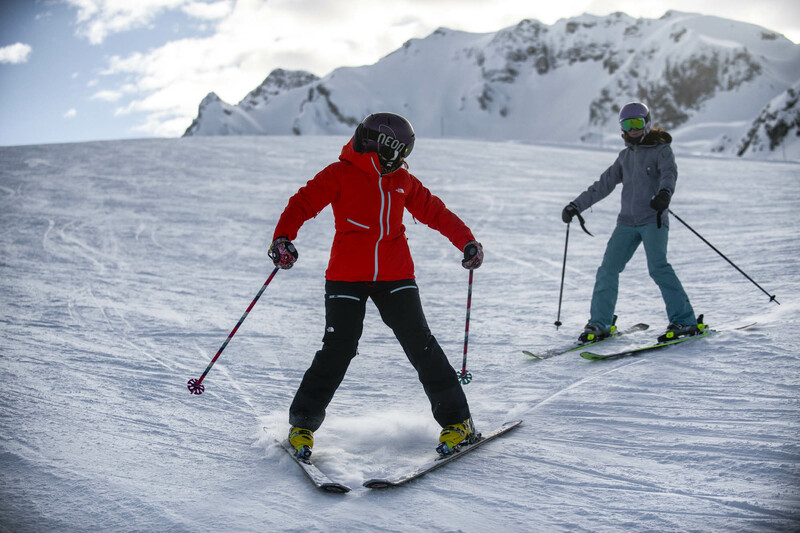 This winter we’re breaking down even more barriers with our Learn to Ski package. Beginners receive an extra lesson on Monday afternoon absolutely free, to get you up and about sooner. Meaning more independence and fun, and hopefully, a better holiday! Ski boots aren’t running shoes but they are no longer the medieval torture devices they once were. Much work has gone into ski boot design in the last 20 or 30 years. Now there are special women’s boots designed for their morphology, heat moulded boots, boot fitting, and boot fitters who guarantee comfort should you want to invest in your own ski boots [that is not a bad idea and probably the first bit of hardware to buy if you like it]. Skis have also vastly improved or more specifically tailored to all types and tastes of skiing. Whereas there was little to obviously tell between skis in the 1980s apart from their length, contemporary skis now vary massively in their length, weight, stiffness, width, and shape. A beginner will usually have a ski that is relatively short, light and soft with a fair degree of curve or shape making it very easy to turn. Wrestling with ill-fitting boots, fiddly bindings, and cumbersome skis was all part of the skiing of yesteryear. You will be surprised how the advances in equipment genuinely complement the activity nowadays. 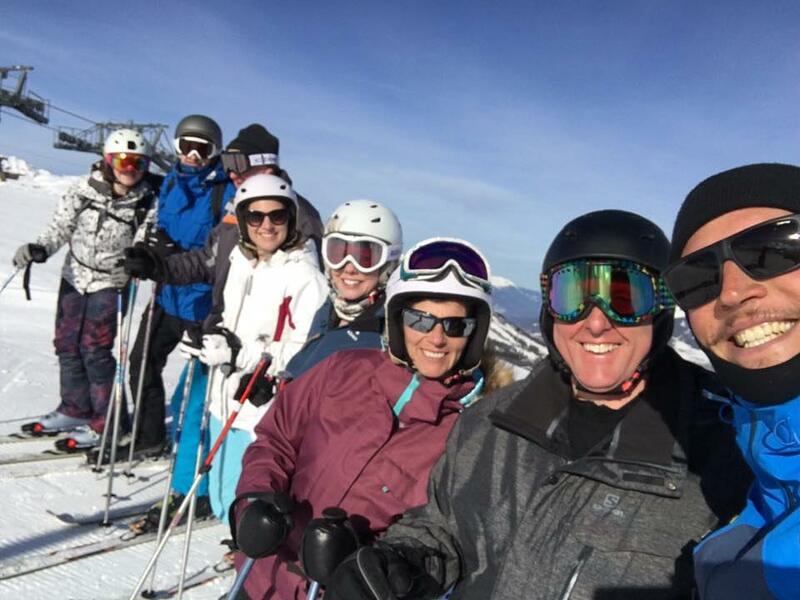 Learning to ski is well within the grasp of most reasonably active adults of any age. 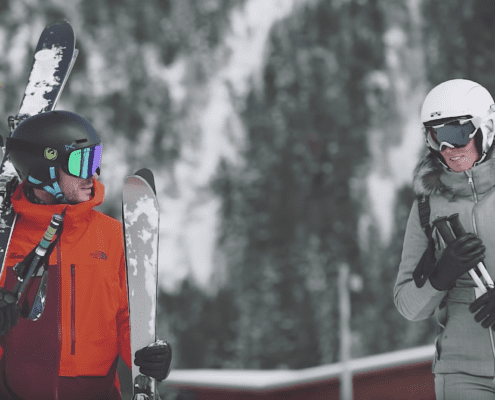 Despite the famous myths and often hilarious mishaps associated with learning to ski, it’s actually relatively common to not fall at all in your first lesson or even your first week of lessons. If you are deliberating or wondering whether you should do it, we’d unreservedly say give it a go. There has never been a better time to learn to ski. So what are you waiting for? 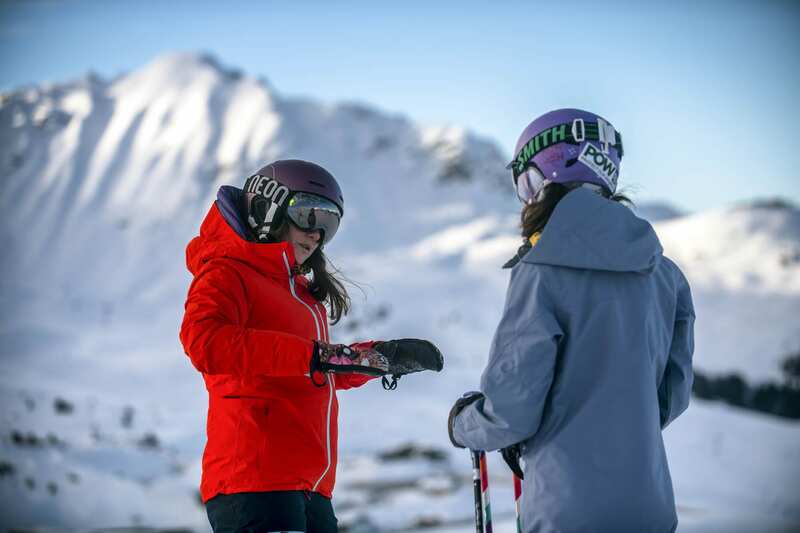 Find out more about our Learn to Ski course, or find the most suitable lesson for you today with our lesson picker tool.